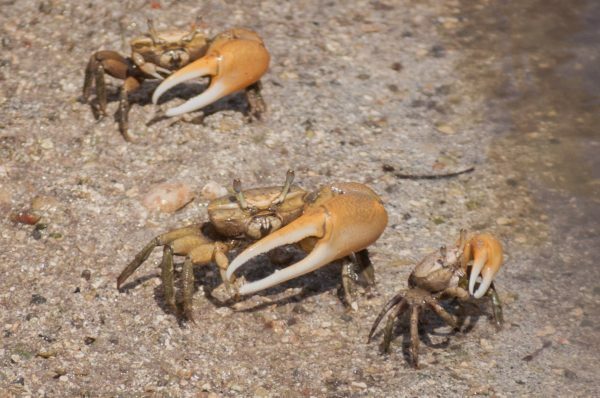 St. Martin’s fiddler crabs help keep our seas clean and provide food for many wetland birds. In celebration of World Wetlands Day, Amuseum Naturalis is launching the Crabitat, a fascinating new exhibit showcasing the fiddler crabs that can be found in great numbers around virtually all of St. Martin’s ponds. The Crabitat will be a special attraction on Tuesday, January 31st during the Mardis de Grand Case street fair. World Wetlands Day is a global program that raises awareness about the importance of wetlands. On St. Martin, salt ponds and other wetlands are one of the richest ecosystems, hosting a wide diversity of life. They also provide the valuable service of processing organic material, keeping our seas crystal clear and our coral reefs vibrant. Fiddler crabs, which are the featured stars of the Crabitat, are key players in this system, sifting organic matter from the sand. 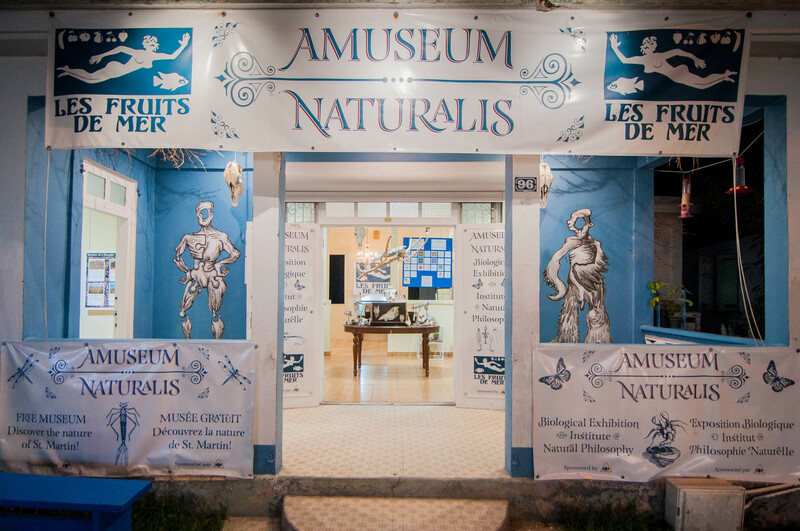 Amuseum Naturalis, a free nature museum in Grand Case created by the Les Fruits de Mer association, also showcases wetlands in Gut Life, an ongoing exhibit about freshwater wildlife. In the Amuseum Naturalis theater, short films about the freshwater animals of St. Martin and fiddler crabs will also be in rotation. The Amuseum’s special exhibit room will be featuring displays about wetland birds and the impact of drought on wetlands. St. Martin’s free nature museum, Amuseum Naturalis, will launch its Crabitat exhibit for World Wetlands Day on January 31st. Amuseum Naturalis is open on Tuesdays and Thursdays from 4-8pm, and is located at 96 Boulevard de Grand Case. Completely free thanks to the support of Delta Petroleum and the Friends of the Amuseum, the Amuseum welcomes residents and visitors of all ages to discover St. Martin’s natural heritage.